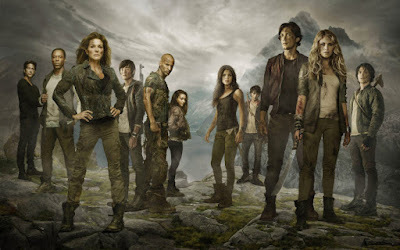 I've shared with you my TV obsessions in the past (Outlander, The White Queen, Poldark, etc) and now I'm sharing with you my latest: The 100. About this time last year, my blogger buddy, Lea at YA Book Queen, recommended this show to me. Season one is on Netflix, which means I could easily watch it and binge the show if necessary. It's based on a series of YA books by Kass Morgan, but I have never read them. I loved the sound of the show and even though I am "over" dystopias, this one seemed too good to pass up. I absolutely became addicted to season one and got caught up on season two immediately. Season three is currently airing on the CW, but guys, this show is so much better than just a "CW" show if you know what I mean. Here's the gist: The 100 follows a group of teens and a few adults who are the first humans to return to Earth after a nuclear war. Having always lived in space, Earth seems like a scary place to them, especially when they come to realize that perhaps they aren't alone! 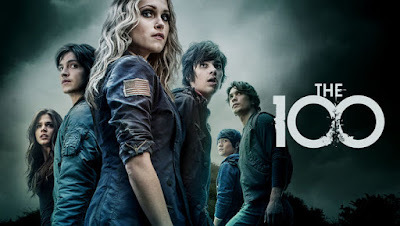 This show keeps me on the edge of my seat unlike any show on TV today and the special effects are top notch; in fact, it often feels like I am watching something on HBO, not the CW. Plus, the cast of characters are really well developed and not stereotypical. If you are new to the show and decide to watch, keep in mind episode one and two are a little weak, but it gets better. A lot better. So stick with it! 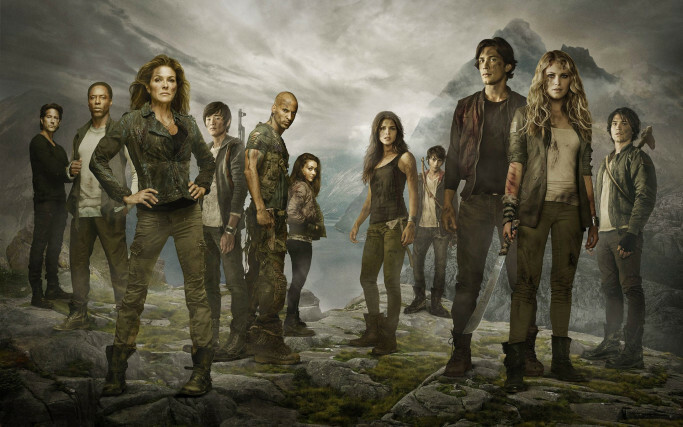 If you love sci-fi and thrillers, you need to check out The 100 on Netflix immediately. It would be the perfect show to binge this winter season. With that said, anyone else a fan? Let me know your thoughts! Hmm. You are the second person to recommend this show. Maybe I'll have to check it out on Netflix sometime. I haven't read the book either. I watch three shows on the CW that I like (The Flash, Jane the Virgin and Arrow). They have definitely improved their offerings in recent years. I think you should definitely check it out, Christina! I agree. CW is definitely improving. Thanks for visiting! I'm a binge watcher. I did start watching this when it first came out and liked it. Need to get caught up and read the books. I am curious about the books as well. I'm glad to hear you are a fan! Thanks for visiting! I have Netflix, so I'll have to check this out! I definitely recommend it! It's fantastic. Thanks for visiting!